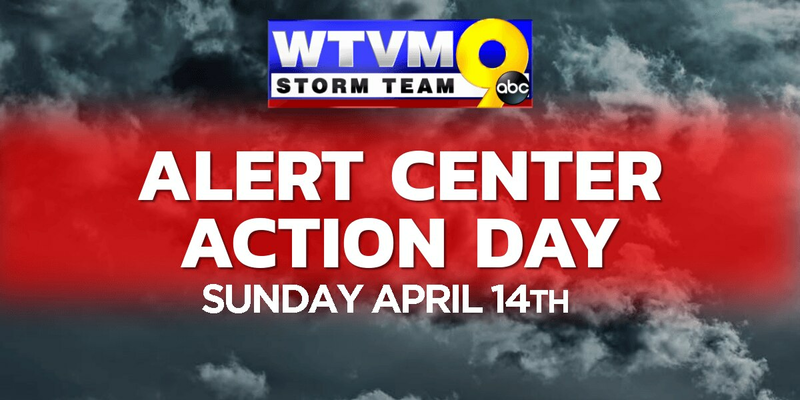 (WTVM) - Storm Team 9 has announced an Alert Center Action Day for Sunday, April 14th. 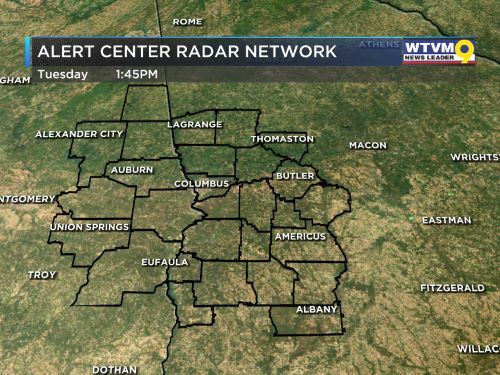 WHAT: A dynamic storm system will bring a cold front with a line of rain and storms into the Chattahoochee Valley. There should be enough energy in the atmosphere – along with shear, or ‘spin’ – to have some storms become severe and possibly damaging. Tornadoes are possible in a few spots along the line, or with any isolated storms out ahead of the line. WHEN: Generally, the time-frame from 8 AM to 3 PM ET will be when most severe weather is projected to occur. We encourage you to check back for details since this will vary a bit as we approach Sunday. The threat won’t last that long for everyone - at the most, you might experience 1 or 2 hours of bad weather on Sunday and that will be it. The storms will move from west to east. 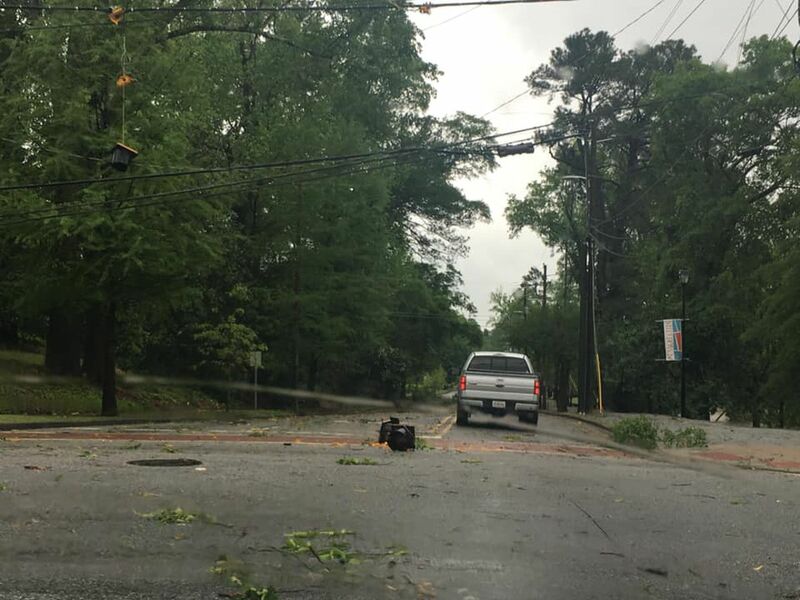 THREATS: Thunderstorms with damaging wind gusts, hail the size of quarters or larger, heavy rain, lightning, and thunder are expected. Tornadoes are possible with this storm system as well, and folks will need to prepare for that threat. WHAT TO DO: Make sure you have a way to get watches and warnings should they be issued. Also, make sure you know what to do in the event a warning is issued – know where your safe place is going to be ahead of time. Be sure you check back frequently for updates since threats and timing may change. SPECIAL CASES: There are certain folks that may need a jump start on preparations – those include people that live in mobile homes, those that intend on attending Palm Sunday church services, people on the top floor of an apartment complex or hotel, and those with outdoor plans on Sunday. Make sure you are thinking NOW about where you will go, hopefully well in advance of warnings that may be required. If you wake up and there are multiple warnings out to your west, know those storms are heading your way and heading to church probably won’t be a good idea. If you’re at church, make sure you have someone designated to get the warning information and get everyone to a safe place if necessary. A sanctuary is NOT a safe place to be - interior small rooms, hallways, etc. are the preferred locations.